The speed of phone replacement is unimaginable. Some time ago, we were still talking about Samsung Note 7, and now news and reports about Samsung Note 8 are emerging. According to reports, the Samsung Galaxy Note 8 will be equipped with 6.3 inches of 2K screen, using Snapdragon 835 or Exynos 8895 processor, and equipped with 4000mAh batteries, is said to be released during the IFA 2017. In addition, this will be Samsung's first high-end flagship with dual camera design. However, no matter which phone we use, we always have some problems with it. For example, accidentally deleting data on your phone. Once we have this problem in the Samsung Note 8, what should we do? 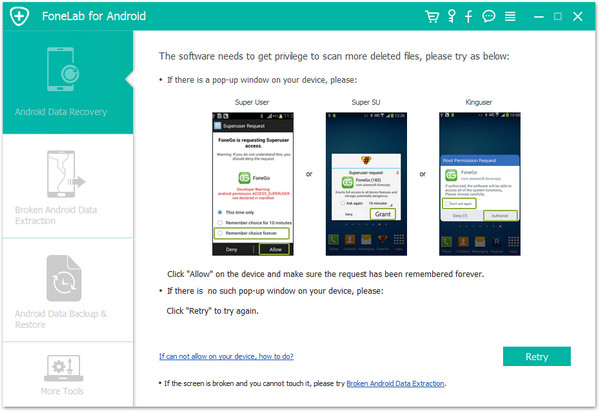 You can use Android Data Recovery to solve your doubts. This is a versatile Android data processing software. 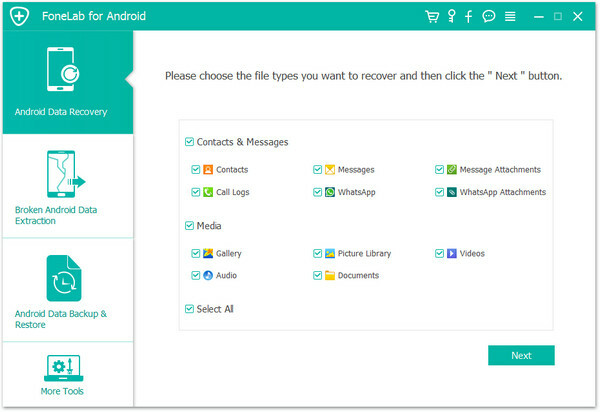 It has various functions, in which the recovery function can help you recover the deleted data. Contacts, text messages, music, photos, videos, call history, audio, WhatsApp, and other data can be restored. 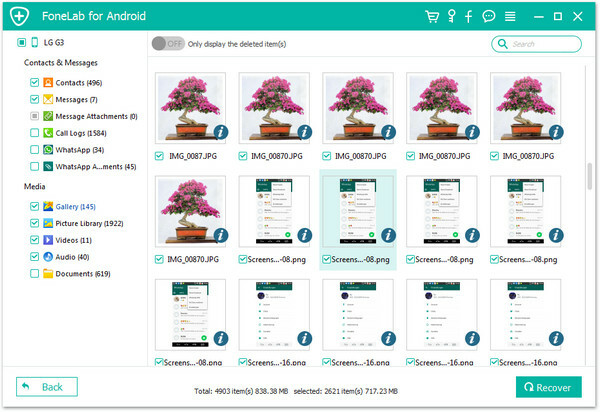 Since this is a software designed for Android devices, Samsung, HUAWEI, ZTE, LG, OPPO, vivo, SONY and other Android devices can use it. So it's also practical. 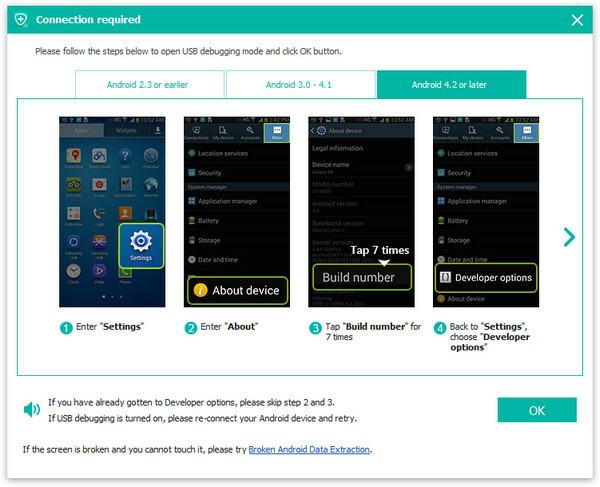 Also, you can preview the data you need to recover, which enables you to selectively recover data. In addition, the software steps are simple. The data in the phone will not be deleted or leaked. Note: Please minimize the use of your mobile phone as soon as you realize your data is missing, because all operations are likely to cause your lost or deleted data to be overwrote by new data. 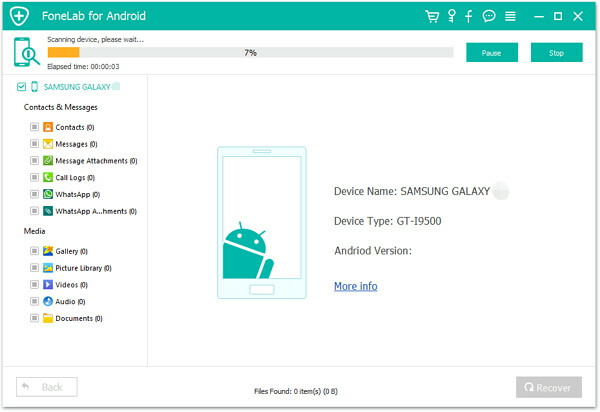 Therefore, the earlier you to use the Android Data Recovery, the greater possibility to restore the lost content. 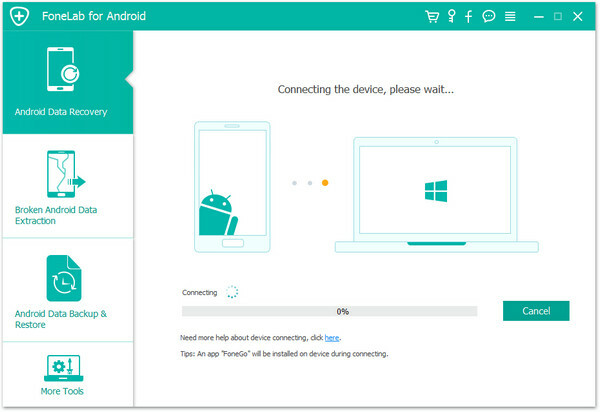 Download and install Android Data Recovery on your computer. After launching it, find and click on "Data Recovery" among all the toolkits. Then, use the USB cable to connect your Samsung Galaxy Note 8 to your computer. To make your phone successfully connected to your computer, you need to open USB debugging on your phone. Just as what you can see, simple tap on "OK" on your phone's screen to allow the program to detect and analyze your device. When your Samsung Note 8 has been successfully connected to your computer, you can see the new window as below. Please check the types of files that you need to restore. Then click "Next" to go on. Now you need to select a scan mode for your Samsung Note 8. Here are two scan modes, you can choose Standard mode or Advanced mode according to your needs. We recommend that you try "Standard mode" first and it work faster. When you define a mode, tick it and click "Start". Note: There might be a Superuser authorization appearing on your Samsung Note 8 during the scan. If you get it, click "Allow" to continue. If not, just skip this step. When this process is complete, you can see all of the scanned data. At the same time, you can preview them. Check these data according to your needs, and then click "Recover" to save them back to your computer. Directly recover deleted data including contacts, text messages, photos, videos, call history, WhatsApp messages and more from Samsung Galaxy Note 5. Samsung Note 5 Data Recovery, directly restore deleted and lost photos, pictures, videos and more from Samsung Galaxy Note 5 in a click. Want to recover deleted contacts from Samsung Note 7? Samsung Data Recovery can easily recover deleted contacts from Samsung Galaxy Note 7. Samsung Galaxy Recovery helps to directly retrieve deleted text messages, SMS and more from Samsung Galaxy Note 7 in a click. Want to recover deleted photos on your Samsung Note 7? This article can restore deleted photos from Samsung Galaxy Note 7 with Samsung Data Recovery.